Removable EN 353-2:2002 fall arrester, sturdy and functional. 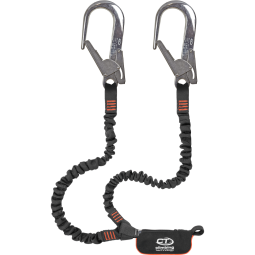 To be used in conjunction with PATRON PLUS 11 (Ø 11 mm) rope only. Accessory lanyard to be used in conjunction with SKR + device only. Accessory lanyard to be used in conjunction with SKR + and SKR-2 devices only. Positioning device that helps keep the connector aligned with the system, cable or device, it is connected to. New comfortable and ergonomic harness with five attachment points and legs loops provided with quick-release buckles. Innovative SLIDER energy absorber with progressive tear, protected by a strong zip-case. Light and compact lanyard with reinforced high-elasticity arm that allows a consistent reduction of the encumbrances using the lanyards. 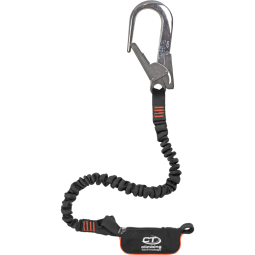 Light and compact lanyard with high-elasticity arms to allow a consistent reduction of the encumbrances using the lanyards. 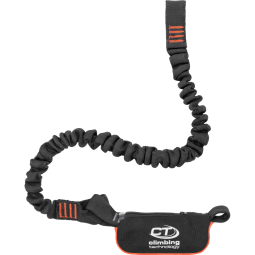 Lanyard with reinforced high-elastic arm, compact shock absorber protected in a zip-pocket, and terminal connector with 60 mm of opening. 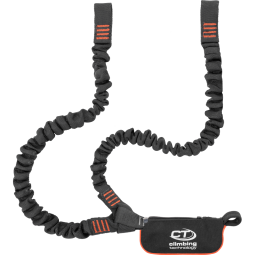 Lanyard with reinforced high-elastic arms, compact shock absorber protected in a zip-pocket, and terminal connectors with 60 mm of opening. 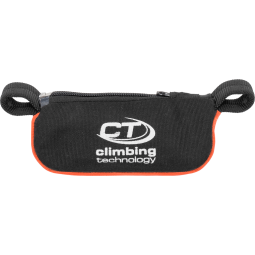 Lanyard with reinforced high-elastic arm, compact shock absorber protected in a zip-pocket, and terminal connector with 50 mm of opening. 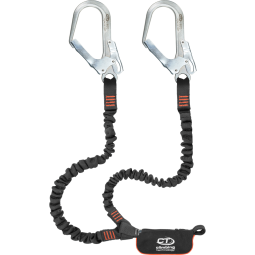 Lanyard with reinforced high-elastic arms, compact shock absorber protected in a zip-pocket, and terminal connectors with 50 mm of opening. Kit created for all those who work on metallic structures, on pylons and for anyone involved in the assembly of cranes. Simple and functional kit for work on metallic structures. Kit designed for the protection against falls from a height of all those who work on ladders or vertical structures where both upward and downward displacements are expected. Kit for installation work, on scaffolding and metallic structures. Essential kit for systems installation, working on scaffolding and on metal structures. Robust, adjustable positioning seat with broad and padded seat, developed for suspended working. Double locking pulley, designed for the creation of an auto-blocking rescue winch in combination with the UP ROLL pulley. Double locking pulley, designed for the creation of an auto-blocking rescue winch in combination with the UP LOCK pulley. Auto-blocking rescue winch with 4x reduction factor, or 5x when used upside down, ideal for use in rescue manoeuvres. 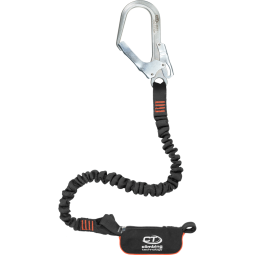 Patented removable fall arrester device for SKC EVO LINE lifelines installed on ladders, either in the center or on one side. Galvanised-steel cable 7x19, Ø 8 mm for SKC EVO LINE lifelines installed on ladders, either in the center or on one side. Stainless-steel cable 7x19, Ø 8 mm for SKC EVO LINE lifelines installed on ladders, either in the center or on one side. Stainless steel thimble for forming bottom end loops of a SKC EVO LINE lifeline installed on a ladder, either in the center or on one side. Stainless-steel wire-rope grip for forming bottom end loops of a SKC EVO LINE lifeline installed on a ladder, either in the center or on one side. Stainless steel tensioner for forming bottom end loops of a SKC EVO LINE lifeline installed on a ladder, either in the center or on one side. Central anchor bracket for ladder of a SKC EVO LINE lifeline. Lateral anchor bracket for ladder of a SKC EVO LINE lifeline. Cable guide for central SKC EVO LINE lifeline installed on a ladder. Cable guide for lateral SKC EVO LINE lifeline installed on a ladder. SKC EVO LINE identification display.